You all plan your journeys based on the destination you want to reach and the conveyance you wish to use. And apparently, the planning itself eats a big chunk of your time. How? You have to check whether a certain mode of transport, which you are comfortable with, is available to a particular place. You need to decide which transportation is quickest and most convenient for you. You also need to check timings and see if you can keep something in the backup, so that things do not get hectic when everything is not going as planned. You have to plan a ton of stuff beforehand. Besides, if you have been living in the metropolitan cities of India like Delhi, then you might have experienced the difficulties with respect to the congested traffic. How about letting someone else do all this for you and you just—well, take rest? What would be the best solution to optimize your travel around the city? Meet Ridlr—the cool new public transport app. 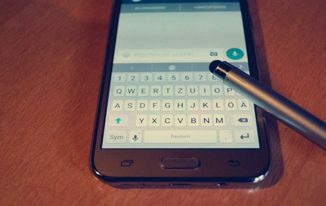 Let’s discuss the main distinctiveness of this travel guiding app through this blog post. 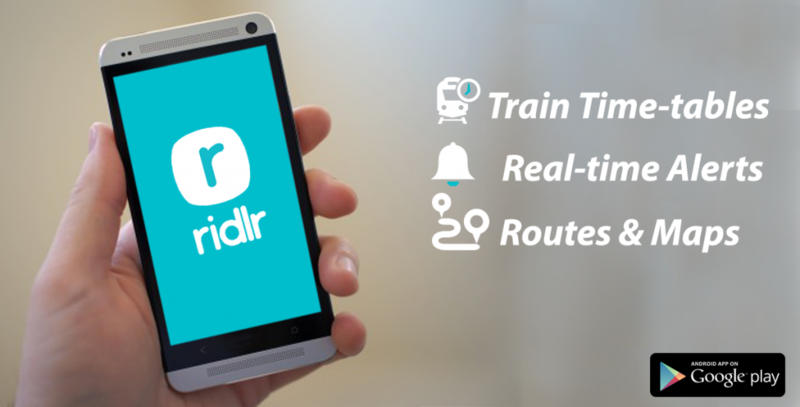 Ridlr is an easy-to-use public transport app that provides you with complete real-time information about local train, bus, monorail, and metro schedules. This amazing app has been built by Birds’s Eye System, creators of Traffline. Its primary aim is to make traveling within cities easier, quicker and predictable for the people who use public transports. With Ridlr, you get to plan your city travel in the simplest possible way. You get accessible timetables to access offline and current timings of every single type of transportation in your city. Also, the app alerts you about cancelations and delays directly. At the time of writing this review, Ridlr is available in nine popular Indian cities. You don’t need to get worried if you’re living in an urban area of India! As it is growing fast, you will get access to this travel information app soon. Below are some of the strong reasons to try the Ridlr app right away. Let us see what they are! Have your complete personal city guide: Ridlr is not just an app; it’s an experience in itself. It acts as your stand-alone personal city guide that precisely tells you when your next train, bus, or metro is going to arrive. This enables you to plan your journey beforehand—with convenience, even using many transport modes. In addition, you can view the precise arrival and departure timings of the train, bus, metro, and monorail in your city. You can easily access the database of the timetables of these modes of transport. Plan your travel: Do you want to travel in a quick manner? You can use the app to find the fastest and smartest routes and the distance between any two points anywhere. Create your ideal schedule: You can save the most used or daily routes you travel to “favorite” option of Ridlr to get easy access. Track your journey: Are you using many transport modes? Not a Problem! Just use Ridlr’s map to track your entire journey stop-by-stop. Plan journey in multiple cities: Ridlr already supports as many as nine cities and the number is even increasing unabated. Those cities include the following—Mumbai, New Delhi, Hyderabad, Chennai, Jaipur, Ahmedabad, Bangalore, Pune, and Chandigarh. Once you downloaded the Ridlr Android app, you will be driven to choose your city. When you select your city, it will display the option to look bus or train timetables to plan your travel. You will also be getting “Favourite Timetable” as shown in the below image. If you prefer the option “Bus”, then it will let you search buses according to the bus number and if you’ve chosen “Train”, you can have a look at the available trains based on starting and ending destinations. The option “Plan Your Travel” will automatically detect your current location and if you add a destination within the same city, Ridlr will suggest some best ways to reach over there by train, bus or metro. It will also advise to go the bus stop/railway station either by walking or rickshaw. You might be wondering about a question, on what basis, Ridlr suggests the best routes for us to travel. Is it so? It uses its Timetable database to offer the most convenient route for us. Not only utilizing its Timetable, but it also considers the roadblocks and diversions to recommend the ideal journey way to the preferred destination place in our city. What Are Remarkable Features Of Ridlr? I want to sum up the best features of Ridlr that made me write this review for my adored readers. You will feel more comfortable while using the Ridlr app as it has the simple and attractive interface with exciting features in an easy-access menu. You could find the best routes between any two points and plan your journey in a single click. Your travel can also be customized using various means of transport. You don’t need to be bothered about delays and cancellations of any transport mode in your city as you’ll be getting live updates and alerts directly on your phone. You may make use of the “Timetables” of Ridlr to check the arrival & departure timings of several means of travel medium and thus you don’t have to access the web every time. With the improved version of the app, you can get information about parking spots and their availability in your city. You can earn to unlimited recharges by referring your friends. You may also share your location and intended routes with friends & family members through WhatsApp and popular social networks. 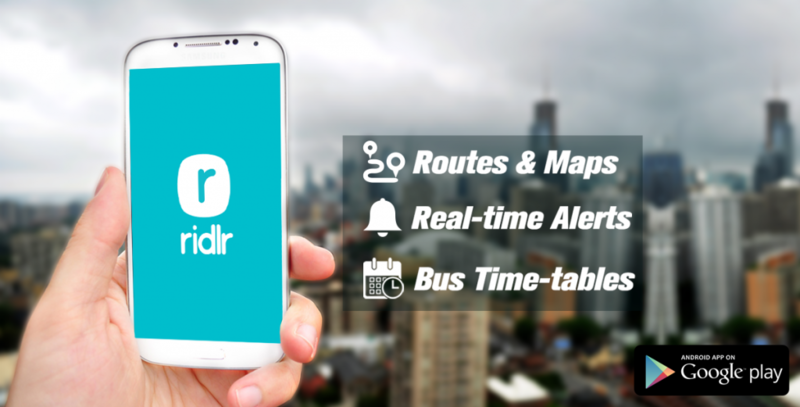 Ridlr is everything you need in a public transport app. Whether you want to find the smartest route or the most appropriate transit medium, all you need is a single click on Ridlr app to get all the information of metro stations, bus & train timings and the distance between any two locations. I would say that it is the best companion for the ones who often roam to several places. So, travel faster, better, and easier than ever with Ridlr. Get Ridlr App on your Android right now! What do you think about the smart new, city travel app, Ridlr that makes our travel planning process easier? Use the comment section to share your perspectives. 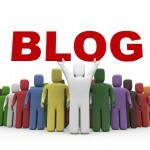 Great post for travelers, Atish! Technology is emerging so fast and thus we have apps to perform each and every task. Ridlr Android app seems good to plan our journey in prior and save time. Its Timetable feature for offline access would help the people to check the transport timing at any time. It is interesting to know that we can get the live updates of all the transport modes directly to our smartphone. Thanks for introducing this travel guide app, I’ll recommend it to my family members. Thanks for the comment Nirmala. I have recently come to know about this app and it’s amazing. Glad you liked the post. What a cool app to have that can be held in your hand to travel the world. Bird’s Eye systems created Ridlr to make our lives easier for public transportation. You really do know your gadgets. It’s amazing how they put this all together and a great app to have. 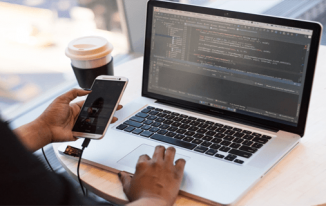 InMotion Hosting – An Awesome Web Host to Work With!